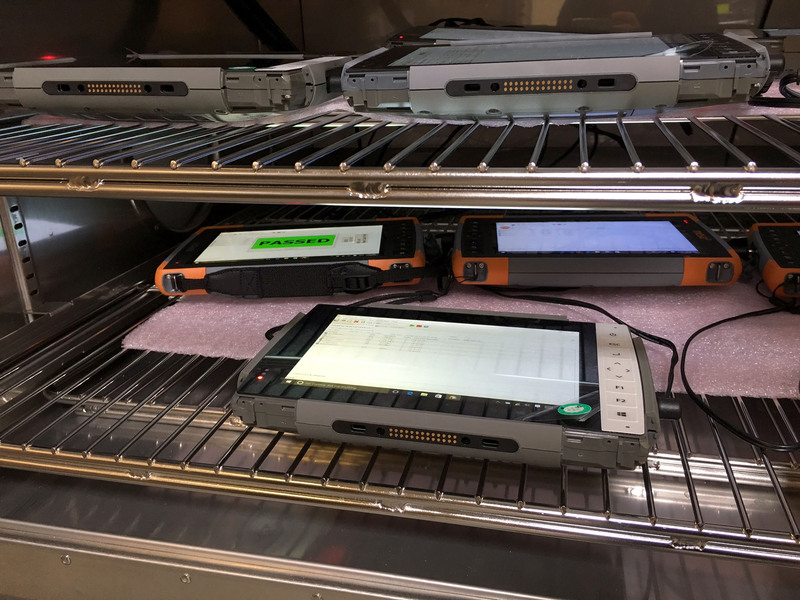 At Juniper Systems, we test every single rugged handheld we make to confirm that it meets each of our very high rugged standards before shipping it to the customer. This ensures that our customers receive only the highest quality product possible—one that will perform reliably in whatever environment they may be working in. And this is one of the reasons that Juniper Systems consistently maintains very low warranty failure rates—last year, for example, our warranty failure rate was just 3.3%—significantly below the industry average. 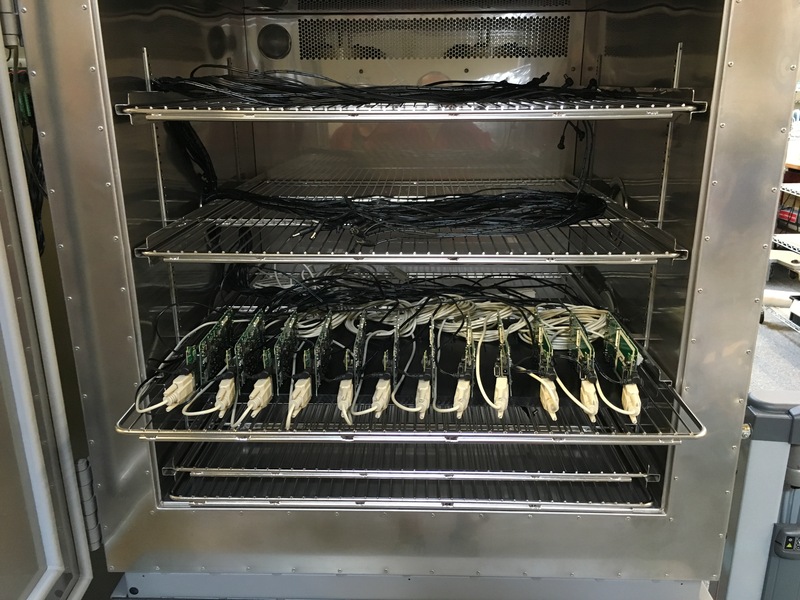 One of the tests that we perform takes place in a machine called a temperature chamber, which assesses each handheld to ensure that it can operate reliably at extreme temperatures. What we’re really looking at during this testing is specifically how the internal circuit boards of the handheld perform in very high and very low temperatures. It’s like a little rugged handheld oven/freezer! However, the temperature chamber we’ve used in the past is designed in such a way that the handhelds must be fully assembled before testing. This means that if a problem with a circuit board is detected, our manufacturing team has to completely disassemble the handheld in order to correct the problem. And that means that from the time we start building a handheld, all the way through the complete assembly and testing, to the time it gets into customers’ hands, is taking longer than it needs to. 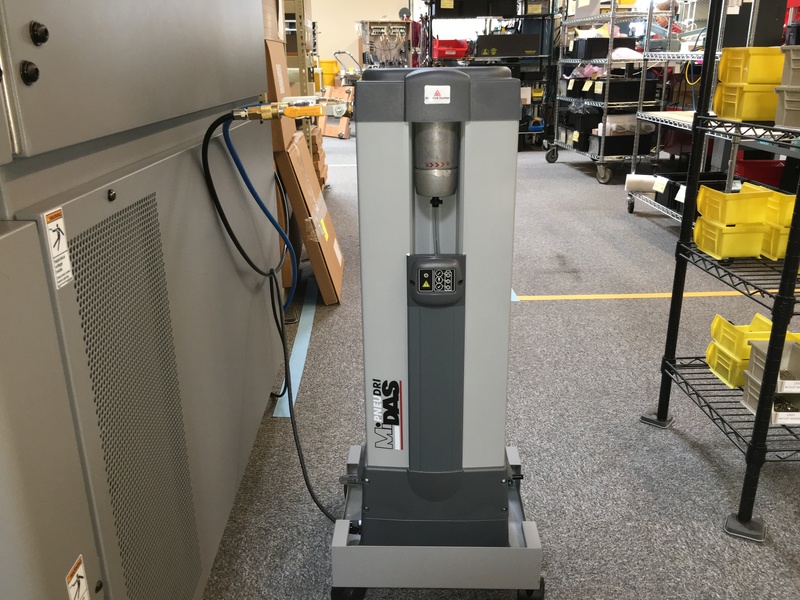 For this reason, and because our old temperature chamber was starting to require more and more frequent maintenance, we recently purchased a new temperature chamber. This new chamber can produce internal environments with temperatures ranging from -31° F to 347° F (-35° C to +175° C). We test our handhelds from -22° F to 140° F (-30° C to 60° C). So unless you’re collecting data on the sun, you should be able to use our handhelds with no problems in just about any environment you may be working in. The big bonus that comes with this new chamber is that it includes a “dry air purge system,” which controls humidity and prevents condensation from forming on the circuit boards as the temperature inside the chamber transitions from cold to hot. 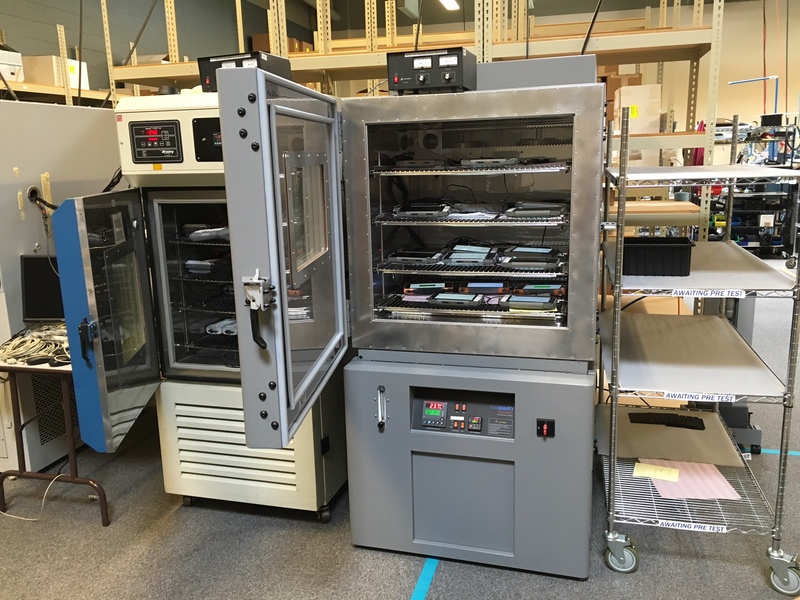 This allows us to test raw boards, before they are used to assemble our rugged handhelds, so any problems that become apparent during the temperature testing can be quickly fixed before placing the boards into the handhelds. No more tearing apart a handheld to fix a problem with the board! The other benefits that the new chamber provides is that it is very low maintenance, and has 50% greater capacity than our old test chamber, so we’re able to test more handhelds at one time. We’re always looking for ways to improve our processes to provide the highest quality products and the best customer service possible. 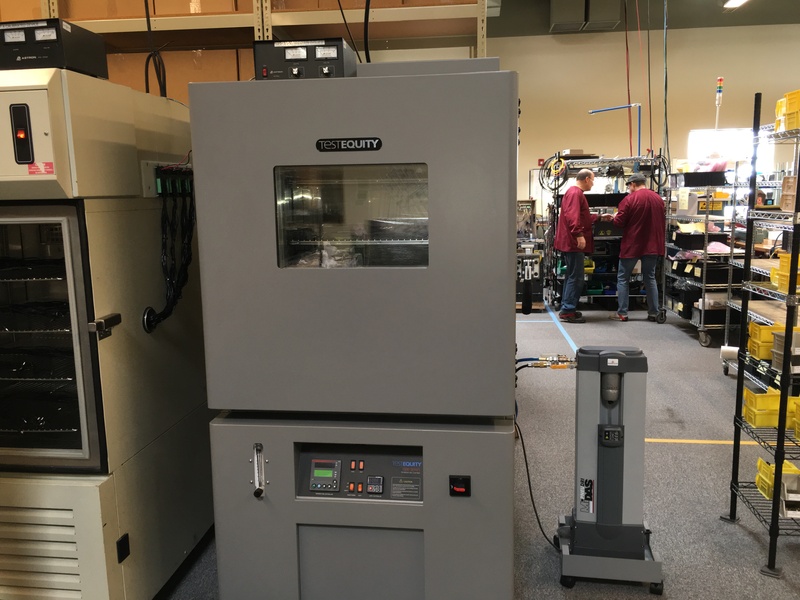 We’re excited to have a new test chamber because it will help improve our efficiency, which translates into faster response times for you, our customers, while helping us to keep costs, and therefore, final prices down. And no one can complain about that, right? Ready to take a look at our rugged handhelds? Check them out here. I have been a part of Juniper Systems' team since 2008, and I am now the Director of Manufacturing. I have worked in manufacturing on some level since I was 12 years old, and I have a passion for continuous improvement. I attained my MBA from Utah State University and I am APICS CPIM-certified. I have two kids of my own and four great step-kids, and we love to ski and hike in the beautiful mountains of Cache Valley. Hi Conrad, thanks so much! I would love to take a look at a few other companies’ test labs! This article about, tech is very interesting. During my research I also bumped into; http://xmapsystems.com/12895-2/ . I got nothing to add to your well written article but It might interest you or your readers.